From building dens to creating LEGO masterpieces, boys love construction. And they like it even better when they get to use tools – especially power tools. Research also shows boys are likely to improve their critical thinking and learning skills through hands-on projects. Boys love working in a team on in a project that involves constructing and creating something they’ll actually find useful. These projects require boys to personally invest in their work, which results in much higher level of effort and achievement. These are just a few of the reasons BGS introduced specialist Design and Technology classes in the Junior School. From Prep to Year 6, we teach boys how to correctly and safely use a wide variety of tools through hands-on construction projects. From wobbleboard mazes and waterwheels to pinball machines and billy carts, our boys love working in a team to design, construct, test and indulge in a bit of friendly competition with their classmates. STEM in the Junior School isn’t just about presenting boys with a cupboard full of tools, it’s fail-safe recipe for engaged learning that will gives boys problem-solving, teamwork and creative skills – the ‘power’ tools they’ll really need for the future. Today’s employers are crying out for graduates with science, technology, engineering and maths (STEM) skills. However, research (and experience) shows that if boys don’t understand the practical application of what they are learning in the classroom – and don’t get the chance to get hands-on with this application – STEM can easily be dismissed as boring or even insignificant. Getting boys engaged and involved is pivotal part of teaching STEM skills to boys – skills they drastically need if they are to succeed in a wealth of 21st Century industries. 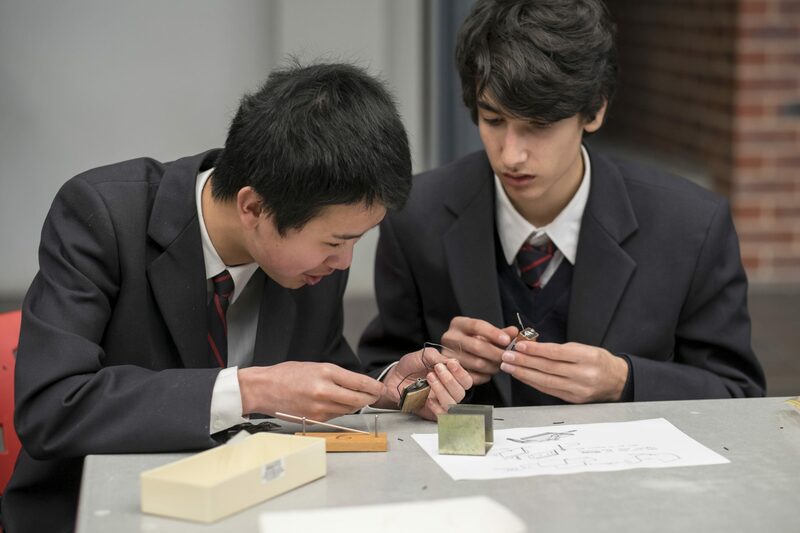 STEM at Brighton Grammar School (BGS) focuses on real-world applications of STEM, which has increased engagement exponentially. The boys complete real-world projects, helping them see the benefits of learning specific skills more clearly. BGS’s newly developed curriculum includes STEM project work and electives with a hands-on learning focus, such as engineering. designing and build an F1 car, which was then tested in a virtual wind tunnel. constructing and videoing Rube Goldberg machines (spaghetti machines). producing an animation of the effects of overusing antibiotics. Activities such as these provide boys with a safe place in which to take risks, make mistakes and learn from those mistakes. This is vital to their development: it helps boys become more comfortable with the concept of ‘failure’ as they realise that every ‘failure’ is simply another learning opportunity and another step towards success. Emily Mudge, a Civil Engineer with ICON Construction, spoke about engineering principles and why she decided to become an engineer. The Confederation of Australian Motor Sports (CAMS) and RMIT University addressed car design and aerodynamic principles. The boys visited to The Fawkner, an old office building being renovated into luxury apartments on St Kilda Road, which enabled them to get and up-close understanding of real-life industry challenges and solutions. Building rockets, robots and designing F1 cars may sound like ‘playtime with big boys’ toys’. And in a way, it is – making STEM fun keeps boys engaged. 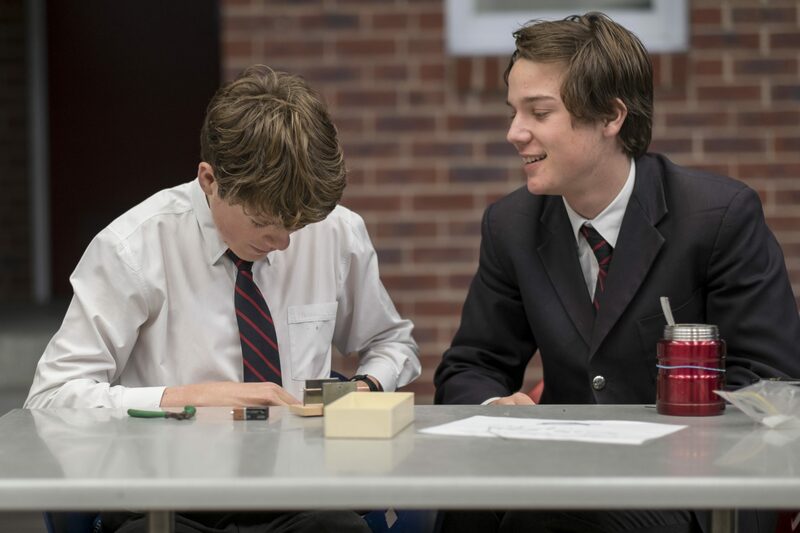 However, the real-world context and hands-on approach to STEM is helping BGS boys understand and embrace the technology that affects them every day of their lives. Engaging with STEM in this way helps our children to become the creative-thinking, problem-solving adults they will need to be if they are to succeed in the future.